Joel Aschbrenner reported on the front page of the Business Section in Friday’s Des Moines Register that, “Iowa farmland prices fell 8.9 percent in the past year, the largest annual decline in 28 years, according to a report released Thursday by the Center for Agricultural and Rural Development at Iowa State University. Also with respect to land values, the Purdue Agricultural Economics Report from December indicated that, “The large positive margins that existed in crop production for the last several years have disappeared. Falling prices of corn, soybeans and wheat have dropped well below the full-cost breakeven point of most producers. Will these negative margins lead to a decline in farmland values comparable to recent increases? Using history as a guide, such a decline seems unlikely in the short term. With respect to some aspects of the livestock sector, the Purdue report also noted that, “Hog producers had a record profit year in 2014. The PED virus contributed to smaller pork supplies, but the fear that pork supplies could be down much more led to extremely high hog prices from the late-winter of 2014 into the early fall. Hog prices averaged a record $76 per live hundredweight, and profits were estimated at $53 per head. Bradley L. Zwilling, Brandy M. Krapf, and Dwight D. Raab indicated on Friday at the farmdoc daily blog (“Profit Margins for Dairy Producers Continue Negative Trend in 2013, Likely to Turn Positive in 2014”) that, “Higher milk prices were not enough to offset higher costs resulting in total economic costs exceeding returns for Illinois dairy producers in 2013, according to figures summarized by University of Illinois agricultural economists in cooperation with the Illinois Farm Business Farm Management Association. 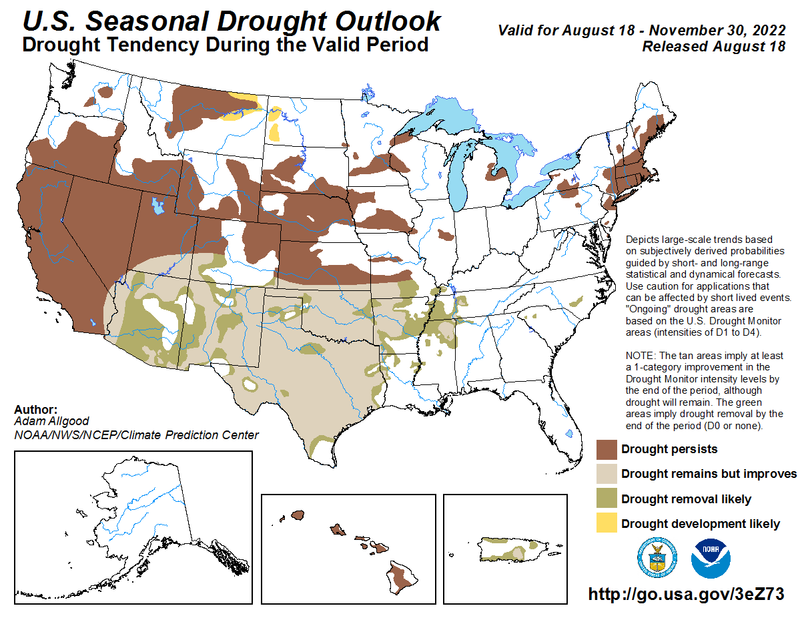 Joseph Serna reported in Friday’s Los Angeles Times that, “For the first time in five months, a majority of California is no longer considered to be in an exceptional drought, the most severe level possible under federal guidelines, the U.S. Drought Monitor announced Thursday. The article added that, “The good news is tempered by the fact that the entire state remains in some degree of drought and more than three-quarters of it, about 78%, is in ‘extreme’ drought, the second-highest category available, the report said. The article explained that, “Prime Minister Shinzo Abe, who is set to outline policies for his next administration on Wednesday after his ruling party’s election victory Dec. 14, has made agriculture a key part of his pro-growth policies. The government is expected to draft legislation in the next couple of months that would transform the nation’s powerful agricultural cooperatives and the way farmers do business. The Journal article noted that, “Mr. Abe will surely face resistance, though, including opposition from within his own Liberal Democratic Party. The LDP has protected farmers with favorable policies for decades, while relying on their outsize power at the ballot box. The powerful cooperatives to which farmers sell their produce have fought efforts to restructure them or strip them of power. Also, Reuters writer Tom Polansek reported on Friday that, “China has officially approved imports of a genetically modified soybean variety developed by Bayer CropScience after seven years of review, the company said on Friday. The article noted that, “Still, the president acknowledged that he would have to work with Congress on contentious issues, including lifting the 54-year-old American trade embargo against Cuba. ‘We cannot unilaterally bring down the embargo,’ he said, although his administration is undertaking a major effort to loosen key elements. Bloomberg writers Mike Dorning and Angela Greiling Keane reported on Saturday that, “President Barack Obama said the full opening of relations between Cuba and the U.S. may take years, even as he offered assurances the new U.S. stance will bring change to the island nation’s closed society. “But Congress controls some of the most significant restrictions on travel, tourism and trade between the two countries, and lawmakers from both parties have made clear they plan to complicate Mr. Obama’s efforts by refusing to fund certain proposals or confirm his nominees to fill diplomatic posts,” the Journal article said. Lee and Mauldin noted that, “Policy changes Mr. Obama announced earlier this week will likely go into effect in weeks, officials said. The Treasury and Commerce departments are working on regulatory changes to enact Mr. Obama’s revised policy on exports and banking relationships…[A]fter the new regulations are implemented, the administration would likely pause to judge the Cuban response and evaluate the shifting political climate before issuing new rules or pushing Congress for a broad lifting of the embargo, observers say. AP writer Roxana Hegeman reported on Saturday that, “President Barack Obama’s announcement this week to normalize diplomatic relations with Cuba and ease some economic restrictions has been closely followed in Kansas, as the move could open up a major market for winter wheat producers. “‘This is a Kansas issue because wheat is Cuba’s second largest import, right behind oil,’ U.S. Sen. Jerry Moran said Friday. The AP article noted that, “Moran praised Obama’s plan to re-establish diplomatic relations and ease some economic and travel restrictions, and now wants the Treasury Department to immediately roll back the burdensome regulations on the country that’s 90 miles from the U.S.
“‘These steps can be taken, and should be taken,’ Moran said. Moran has also vowed to work in Congress on the side of lifting the embargo, which would require the repeal of specific laws. Bill Decker reported yesterday at The Advocate (La.) Online that, “The prospect for normalized relations with Cuba could be good news for Louisiana rice farmers, who have fought to reopen what had been a lucrative market before the 1962 embargo and again as recently as a decade ago. “‘That would be a very big deal for the rice industry,’ said Dustin Harrell, who is set to become the LSU AgCenter’s new state rice specialist in January. The article added that, “Michael Salassi, a production economics specialist for the AgCenter, said any benefits in terms of increased rice exports from Louisiana wouldn’t happen overnight but rather would slowly phase in over a period of years as any potentially new trading arrangements were formalized. A news release Friday from Sen. John Hoeven (R., N.D.) stated that, “[Sen. Hoeven] today said he is working on a two-step process to eliminate the Environmental Protection Agency’s (EPA) proposed Waters of the U.S. regulation, which would bring almost every acre of wet ground under federal Clean Water Act (CWA) jurisdiction.